Accelerated Mobile Pages (AMP) is not a new concept. You must have heard about it, worked on implementing it for your website as well in the last year and a half. For all those who are still discovering AMP, let me give you a very brief idea what it exactly is. AMP is an open source technology that allows your website’s static content to be rendered instantly on mobile devices. In a simpler language it means that this technology is basically a striped down form of HTML that is meant to help the mobile pages load really fast, improving the user experience in mobile. What makes it so fast? That is something that a lot of digital marketers and companies have talked about. Moz has done a great job explaining all that you need to know about AMP in one of their Whiteboard Fridays. At the Google I/O 2017 conference, Google had announced that more than 2 billion AMP pages have been published by 900,000 domains and these pages are now loading twice as fast resulting in a significant improvement in the traffic as well as the conversions. Measuring the performance of such pages to be able to make constant improvements and derive actionable insights is critical and hence, in this blog post we are going to focus on setting up the tracking of these Accelerated Mobile Pages in Google Analytics. Let us take a look at basic pageview tracking set up and event tracking set up for AMP pages in Google Analytics without any dependency on GTM:. 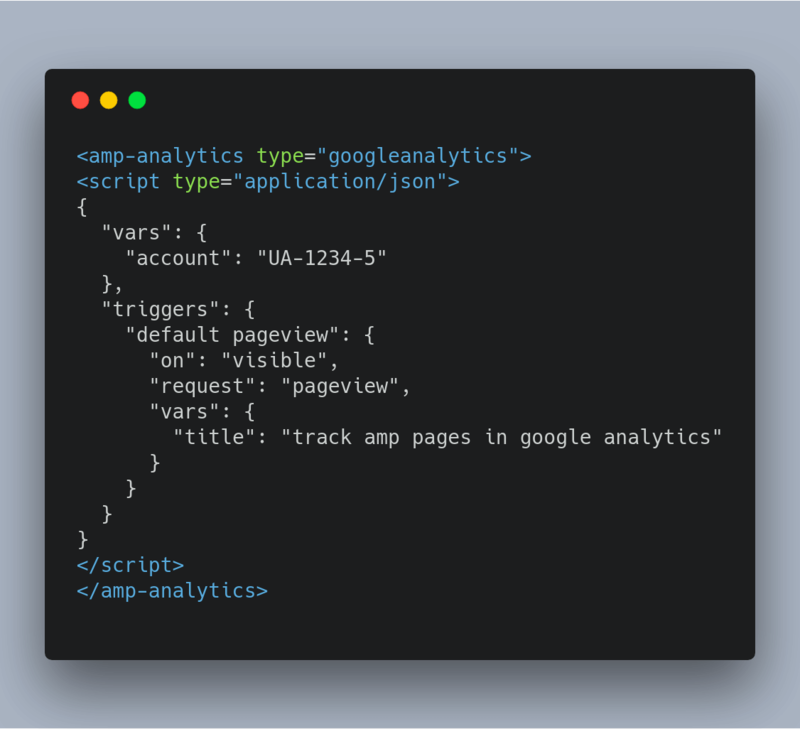 The above given snippet should be implemented after the AMP analytics library code snippet. All you have to do is insert the property id of your Google Analytics and the page title value in the snippet. 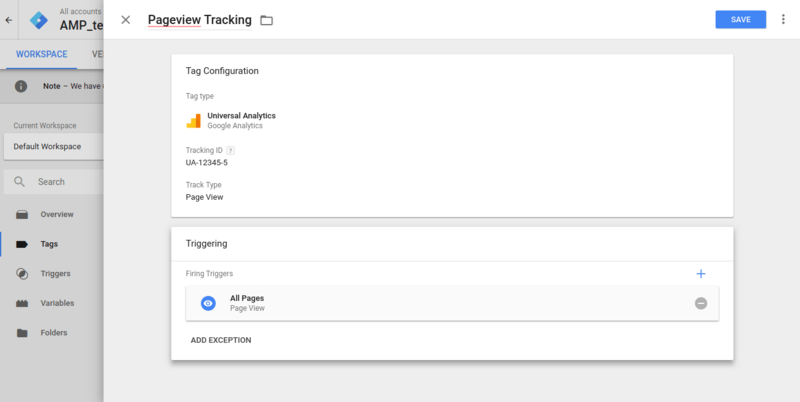 Once this tracking code is set up, your basic pageview tracking is implemented and you can start analyzing the basic performance of your AMP pages. Additional tip: We can also take advantage of custom dimensions in Google Analytics for tracking AMP pages. For e.g I want to pass the author name with every pageview. As we do normally in Google Analytics, use index value of Custom Dimension, we can start capturing the author name as desired. 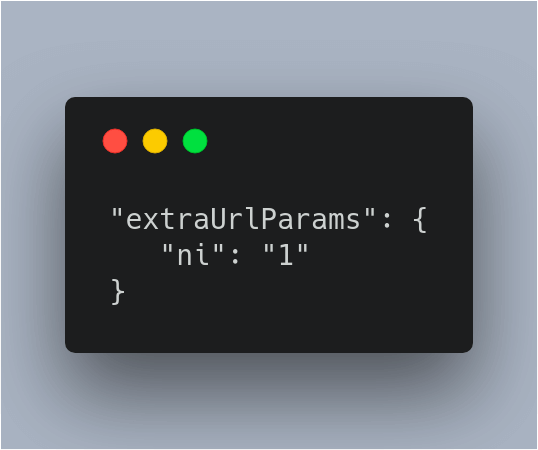 In the below given code replace the author name with the actual author’s name. To get started, create a new container for AMP in Google Tag Manager. 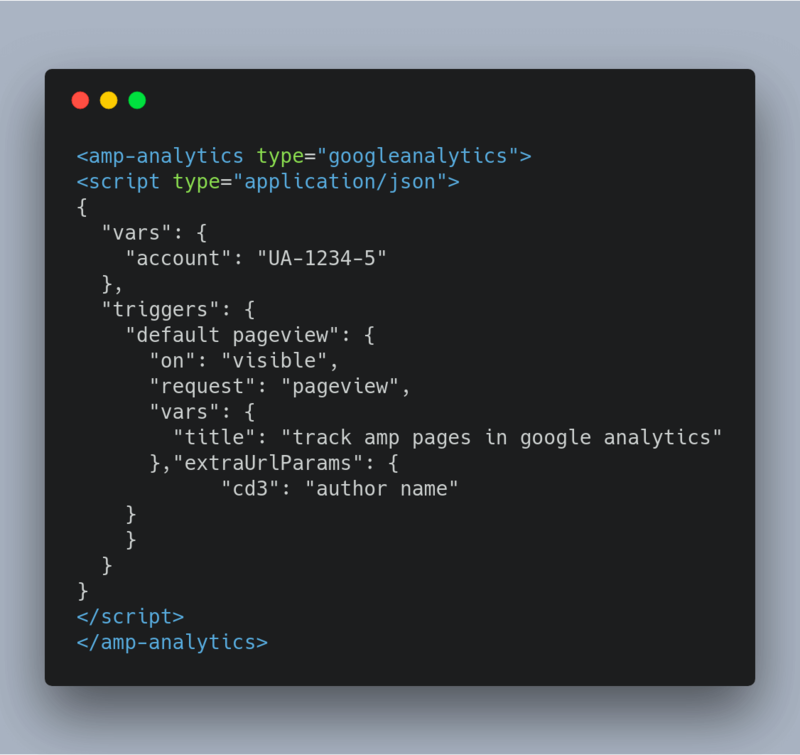 Now, let us take a look at the basic pageview tracking set-up and event tracking set-up for AMP pages in Google Analytics with Google Tag Manager. Event tracking in AMP page is same as the normal page event tracking. We just need to configure one UA tag with track type as event and have to provide category, action and label for same. 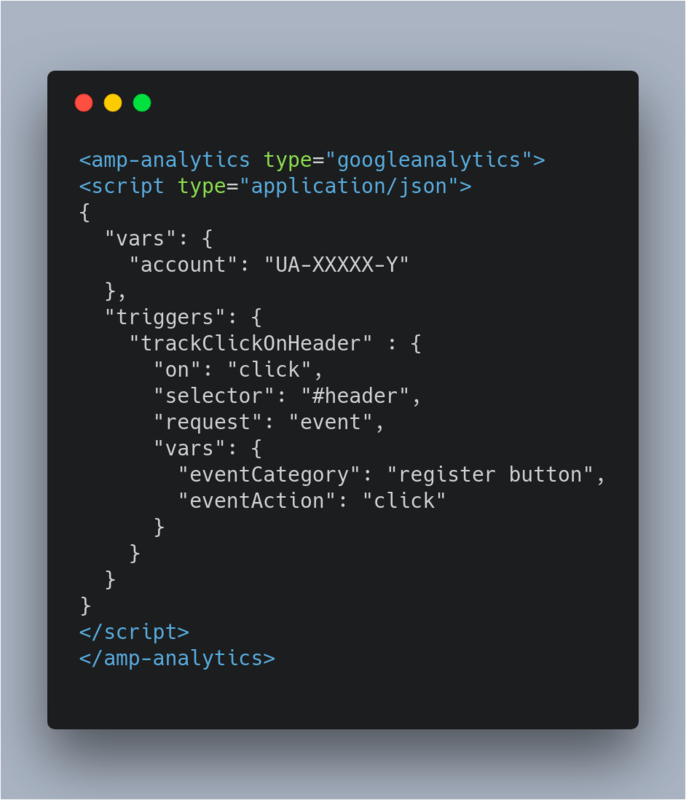 Going further, we need to add trigger to be able to send event data in Google Analytics and set triggers like click trigger, scroll trigger, visibility of element so as to successfully fire this event tag. 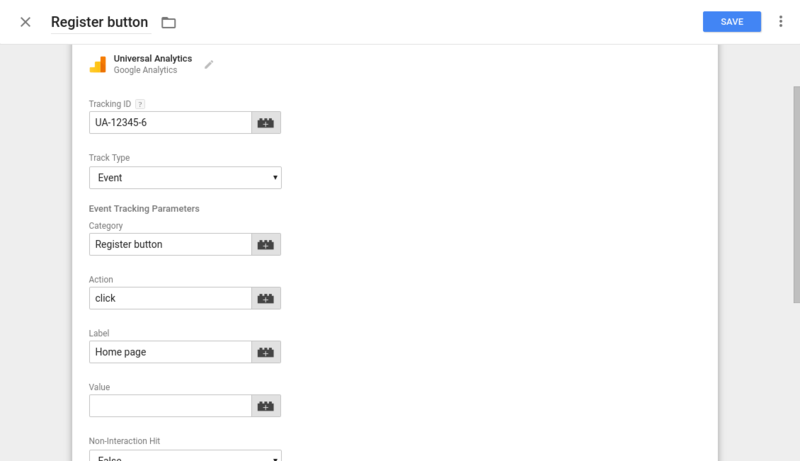 By creating and adding triggers as per your tracking requirements, the tags will start sending data to Google Analytics when the trigger conditions are met. We’ve covered the basic implementation of tracking AMP Pages in Google Analytics. Over the next couple of weeks, we will be focusing on various analytics quick hacks and advanced AMP tracking in Google Analytics and the benefits of doing so, with a series of blogs. So stay tuned to this space to read up more on this topic. 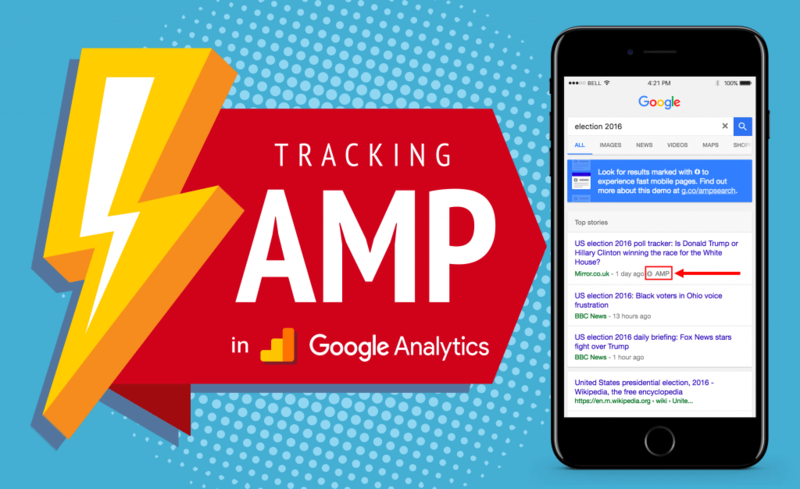 If you are facing any issues in setting up your AMP tracking in Google Analytics or if there is a topic in particular that you’d like us to cover in our series of blogs on AMP tracking in Google Analytics, please feel free to let us know in the comment section below. Ashish is a data analytics expert who enjoys the challenges of conversion rate optimization & analytics implementation projects. He is a B.Tech by qualification and holds a keen interest in learning new aspects of data analytics that helps him solve complex analytical problems. Hey Akshay! Thanks for the feedback. We are glad you found this blog resourceful. Great information. Since last week, I am gathering details about AMP experience. There are some amazing details on your blog which I didn’t know. Thanks. Hey Amanda! Thank you for the feedback. We are happy to know that you found this blog insightful. Great Article! Am i the only one who cannot copy the code? Hey Mila, glad you found this article resourceful. These are images of the codes & not copiable. Please do let us know which code you are trying to copy & we shall send it across to you on your email ID. Google analytics is important for the business website. You share the information is absolutely correct. I find it is really useful for me. This was an excellent article. It has some valuable content on this topic. Thank you for compiling it into an easy to read and well-written post. Hey Martin! Thanks a lot for your feedback. We are glad you find our blogs resourceful! Nice informative information, I have got a lot of information on this article. Really it will help me a lot, thank you for sharing this wonderful information. Your article is so nice, I have got a lot of information on this article.